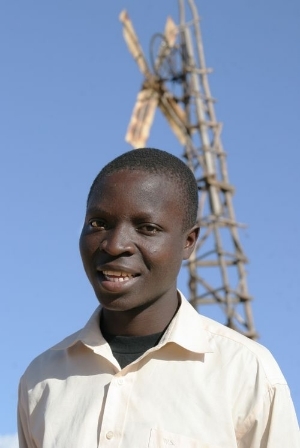 William Kamkwamba was born in Dowa, Malawi, and grew up on his family farm two and half hours northeast of Malawi's capital city. William was educated at Wimbe Primary School, completing 8th grade and was then accepted to Kanchokolo secondary school. Due to severe famine in 2001-2002, his family lacked the funds to pay the $80 in annual school fees and William was forced to drop out of school midway through his freshman year. For five years he was unable to go to school. Starting at 14, rather than accept his fate, William started borrowing books from a small community lending library located at his former primary school. He borrowed a 5th grade American textbook called Using Energy, which depicted a wind turbine on its cover. He decided to build a windmill to power his family's home and obviate the need for kerosene, which provided only smoky, flickering, distant and expensive light after dark. First he built a prototype, then his initial 5-meter windmill out of a broken bicycle, tractor fan blade, old shock absorber, and blue gum trees. He was able to power four light bulbs and two radios, and charge neighbors' mobile phones. He then rebuilt a 12 meter windmill to better catch the wind above the trees, and added a car battery for storage, as well as homemade light switches and circuit breakers. He also experimented with building a radio transmitter to broadcast popular music interspersed with HIV prevention messages. The windmill project drew many visitors from kilometers around, including Dr. Hartford Mchazime, Ph.D., the deputy director of the MTTA, the Malawian NGO responsible for the community library. Mchazime brought press, including The Malawi Daily Times, who wrote a long story. Soyapi Mumba and Mike McKay, engineers at Baoabab Health Project in Malawi blogged about the article, and news of William's inventions reached Emeka Okafor, program director for TEDGlobal, a prestigious gathering of thinkers and innovators. Okafor searched quite diligently to find William and invite him to the conference as a fellow. William's presentation led to additional mentors, donors, and companies supporting his education and further projects. Kamkwamba was a fellow at the prestigious TEDGlobal Conference in Arusha, Tanzania where he spoke briefly (video at ted.com) and spoke at the World Economic Forum Africa (weforum.org) meeting in Cape Town, June 2008 where he keynoted the AMD-sponsored technology pre-conference, and spoke on a panel. He spoke at International CES in January, 2009, the grand opening of the African Leadership Academy in February, 2009, the Africa Economic Forum at Columbia University in March, 2009 and will talk at the Aspen Ideas Festival and TEDGlobal 2009 (both July, 2009). Kamkwamba was profiled on the front page of The Wall Street Journal December 8, 2007, as well in major articles in The Malawi Daily Times, The Sydney Morning Herald, La Repubblica, and myriad blog posts such as Boing Boing, and his blog has been featured on the front page of news aggregators such as Digg and Reddit. He is featured in an special Africa issue of L'Uomo Vogue. 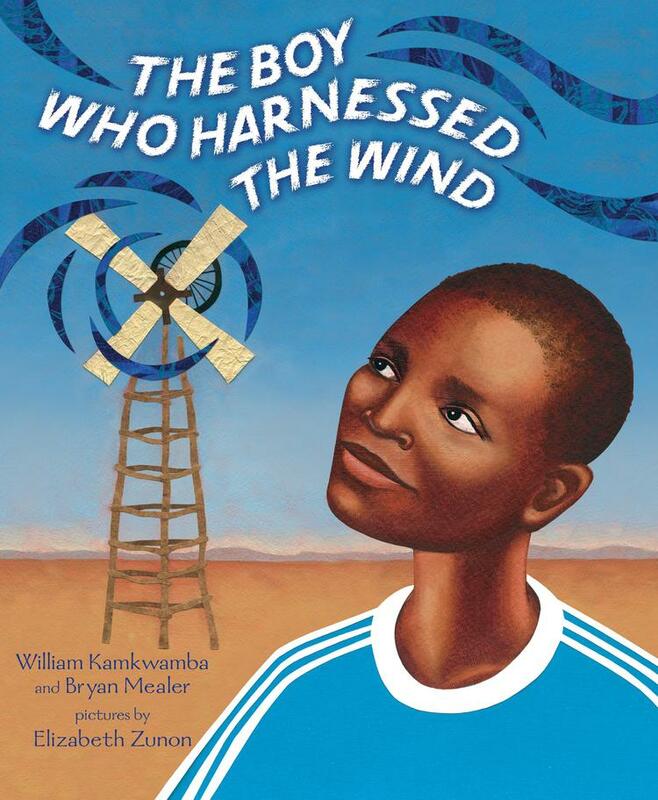 In addition to the adult and young reader's editions of The Boy Who Harnessed the Wind, a middle-grade version will be published in February, 2015 by Dial.